John Denver and EEC. 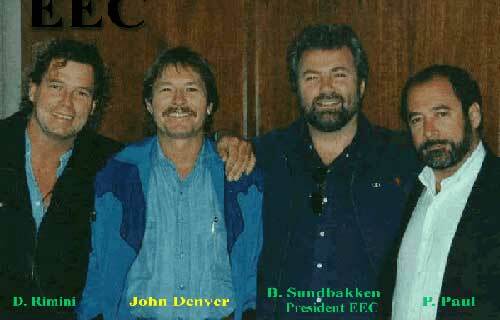 We at EEC and all our friends were sadden by John Denver's death. We will remember him as an environmental friend and songwriter with strong feelings for the nature and all it's beauty. His songs and beautiful lyrics reflected his sincerity and love for nature. Dennis Rimini, President of Regenesis Inc. a long time friend of John Denver. He resides at Malibu Hawaii where he operates "Regenesis Inc" an environmental company dedicated to renewable resources. John Denver was a strong supporter of environmental companies and their efforts to help clean up the earth. We will miss his presence and his inspirational companionship.